Thank you for your interest in sponsoring one of our events! 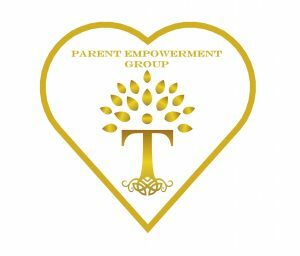 Telic Empowerment’s mission is to equip, empower, and educate families on how to self-advocate and access necessary resources. All of our programs are FREE to the public and provide an opportunity for families to learn and participate in local events that are meaningful to the disabled population, engage with others, and connect with local businesses that serve the community. Our second annual art education and community building event! This event encourages amateur disabled artists to let their talents shine! A skilled art instructor will conduct a unique art class based an a general theme. All artists will be allowed to freely paint and create their own original masterpiece. All disabilities are welcome. All pieces of artwork created will be included in our Art Auction. Do you want to have your name and logo on our promotional materials, website, and social media campaigns, for this event? This year Strokes for a Cause will be held at two locations. Your sponsorship will cover the programming costs for one venue, materials, snacks, attendee gifts, and additional expenses. Please email your logo to events@telicempowerment.org to be included in promotional materials. During a meet the artist art showcase attendees will be encouraged to bid on art created by disabled children and young adults. Food will be served while everyone has a chance to view artwork, learn more about the artists that created each painting and view performances by special needs artists throughout the community. This will be followed by an art auction where anyone may bid on the artwork that has been showcased. Your sponsorship will cover the programming costs for the venue, printed materials, food, and additional expenses. Our monthly parent support group for caregivers of children and young adults with disabilities. Your sponsorship will cover snacks and childcare during this meeting. *If you are looking to donate an in-kind gift for one of our events please contact info@telicempowerment.org for more information. **If you sponsor an event please email events@telicempowerment.org with the logo you would like displayed on event promotional materials and at the event to announce your sponsorship.